Jamming is the theme for this week’s #TBT – by this we mean playing instruments in the broadest sense. So share your old photos from your big band days, your Christmas piano recital, the woodwind quartet your great aunt played in or from that time you took the guitar to the beach! 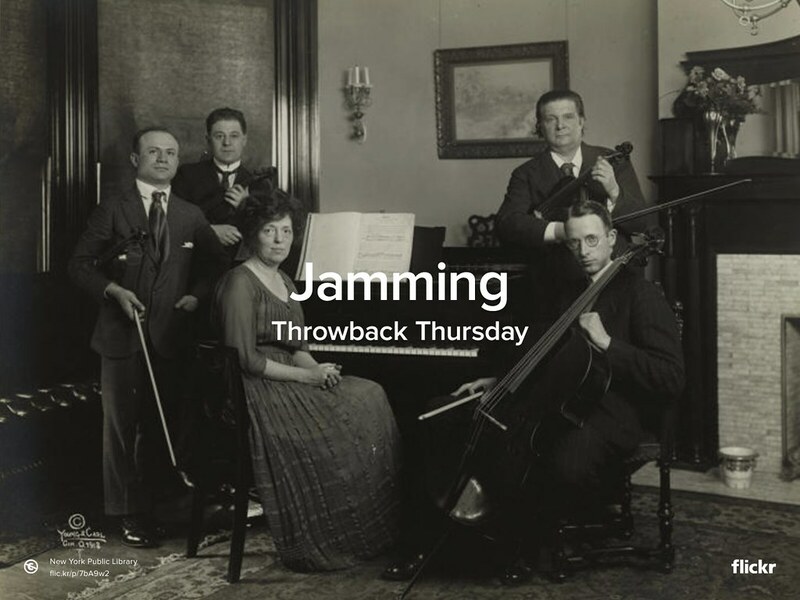 Share them by posting the Flickr URL in the comment section of our Facebook post or by sharing it in our Twitter Feed (@Flickr #TBT #Jamming). We will show our favorites next week in the Flickr Blog.